Protect and maintain your healthy and flexible nails and prevent them from becoming hard. 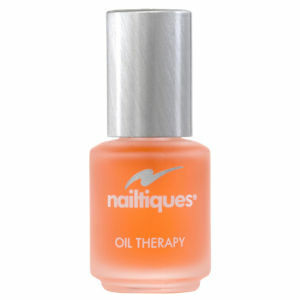 Nailtiques Formula 1 works as a base coat as well as a top coat for your nail polish. This amazing product is perfect for getting healthy and flexible nails. 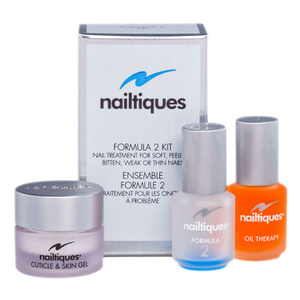 The Nailtiques Formula 1 contains Keratin Protein, Gelatine and Calcium to help bond the nail layers together, making them stronger and more flexible. My nails were quite bad, I had ridges and they split easily. I decided to see what I could do about it and discovered this product. It had great reviews and so I ordered some. Instantly they looked better and had a lovely shine to them. I've only been using it for 2 weeks and I can see It's made a big difference. I've used it for years, people don't believe my nails are real! I love this stuff! Its great for my nails, its the only formula that keeps them healthy and strong. Have been using nailtiques for twelve months and have never had such strong beautiful nail in all my life. Would and have recommended product to various friends and family. I have been using Naitiques Nail Protein Formula for about 20years. I first had treatment at a Salon and then just bought the products. Started on Formula 2 and then when my Nails improved moved on to Formula 1 to keep them healthy and it does the job perfectly . Nailtiques Protein Formula has served me very well over 20 years I first started having treatment at a local Salon and once my nails became established I have since used Nailtiques Formula 1 and this keeps them in very good condition. Would recommend this product. Having tried many other brands over a number of years-FINALLY-one that works as well as it claims. You have to stick with it and use it as directed, but it REALLY DOES WORK!! I have spent the last fortnight spring cleaning. Normally I would have no nails left-they would have peeled and broken away, but they are fine. Amazing stuff. this is an excellent product and afer a week my nails improved and much stronger within a couple of weeks. Would recommend. I cannot recommend Nailtiques Nail Protein Formula 1 enough as I have not used it for a while as I could not find a Supplier so my nails where in a terrible state. Have only just started using it again and the difference in my nail texture and length is amazing. Well done Nailtiques. I have always found it hard to grow my nails and have tried all sorts of products, none of which have ever worked until Nailtiques Nail Protein Formula 1. In just a few weeks of using this, my nails are longer and stronger. This product really works! Highly recommend.